Dr. MBA. 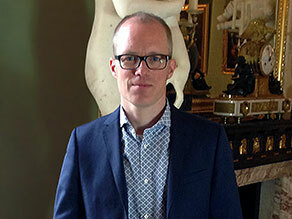 Joost Vander Auwera is senior curator at the Royal Museums of Fine Arts of Belgium and the co-founder and project leader of the Jordaens Van Dyck Panel Paintings Project. He is also the project leader for the establishment of the visitors centre at the Brueghel House, Brussels and representative to Airchecq, an international project on the quality of air in museums. He is a Board Member of the Centrum Rubenianum and was recently appointed vice-president of the UNESCO International Committee on the History of Art. 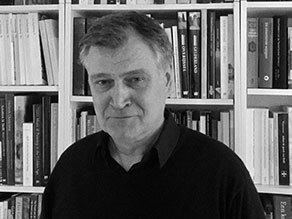 A graduate of Ghent University, where he was the also the teaching assistant to the eminent Jordaens scholar Roger d’Hulst, Joost has authored some 75 publications on 17th Century Flemish painting and museum administration. With Dr. Sabine van Sprang, he curated the exhibition Rubens. A Genius at Work, 2007-8 at the Brussels museum. In 2012-3, he curated the first exhibition on Jacques Jordaens held in Brussels since 1928 and the first in Germany, Jordaens and the Antique, with Dr. Irene Schaudies and Dr. Justus Lange. He was a contributing author to the Jordaens 1593-1678 exhibition catalogue, Petit Palais, Paris, in 2013. Drs. Justin Davies is the co-founder of the Jordaens Van Dyck Panel Paintings Project and coordinates the project’s multidisciplinary activities. He identifies the project’s scientific and art historical research priorities and is pursuing related research towards a PhD at the University of Amsterdam. He has recently identified the portrait of the Dutch Golden Age Pieter Soutman by Van Dyck in the Kunsthistorisches Museum, Vienna (KHM) and written the text for the March 2018 KHM focus exhibition catalogue, Ein Maler als Modell: Van Dycks Porträt von Pieter Soutman. A graduate of Cambridge University in history, Justin was a Grenadier Guards officer and then worked for the United Kingdom’s Foreign Office in international crisis areas, notably the Balkans, the Middle East, Aceh Indonesia, and in Brussels. In 2014-5 he was very involved in the commemorations for the bicentenary of the Battle of Waterloo. A specialist in contextualizing research, he is also an acknowledged expert on the Second Anglo-Boer War and has authored articles and book chapters on both the Boer War and international crisis management. 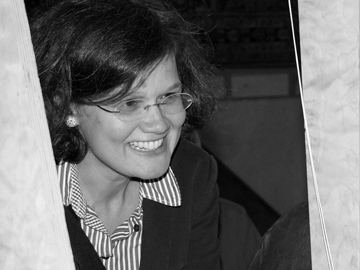 Dr. Andrea Seim is the lead dendrochronologist in the Jordaens Van Dyck Panel Paintings Project. She dates the oak planks used as the support for the paintings and, at the same time, identifies the regional origin of the wood. Interesting new information is being found regarding planks taken from the same tree but used for different paintings. Andrea studied geography at the Technical University of Dresden, Germany, and obtained her Ph.D. at the Department of Earth Sciences, University of Gothenburg, Sweden. Since 2006, she has been working with tree rings from different living tree species, archaeological and historical materials and is experienced with different techniques such as non-/micro-invasive image analyses. In addition, she investigates the relationship of tree growth to climate in Europe and Asia and has recently started working at the University of Freiburg, Germany. Dr. Johannes Edvardsson was the lead dendrochronologist in the Jordaens Van Dyck Panel Paintings Project from April 2016 to June 2017. Since he began working fulltime on his own research project, ECHoES (Effects of tree Colonization on Hydrology and carbon sequestration in peatland EcoSystems, he has become the consultant dendrochronologist for the project. Apart from Flemish 17th century paintings on oak panels, he has been using tree-rings to date climate changes, avalanches, standing constructions, ship wrecks and archaeological material. Johannes received his PhD from the Department of Geology at Lund University, Sweden, in 2013. In his PhD thesis he examined (hydro)climatic changes during the Holocene (last 11700 years) using subfossil trees and stratigraphic records. He continued his research using subfossil trees during a 3-year post-doctoral employment at the Swiss Tree-Ring Laboratory, University of Bern, Switzerland. As a complement to basic tree-ring width data, he has also been working with stable isotopes in tree rings and has experience from working with non/micro-invasive analysis of wooden objects, an important aspect when examining fine arts. Dr. Piet Bakker is one of the two archival research fellows in the Jordaens Van Dyck Panel Paintings Project, researching in both Belgian and Dutch archives. Piet studied Cultural History with a major in Art History. In 2003 the Fries Museum in Leeuwarden commissioned him to write a socio-economic history of the seventeenth-century art production in Friesland. This also became the main focus of his PhD dissertation, concluded in 2008 at the University of Amsterdam. The same year he started to work for the Leiden Collection, New York. To the digital collection catalogue, launched in 2017, he contributed with artist biographies and essays about the Leiden art market. From 2012 until 2017 he was involved in the project From Isolation to Coherence. An Integrated Technical, Visual and Historical Study of 17th and 18th Century Dutch Painting Ensembles. For this project, hosted by the University of Technology in Delft, he published several articles about decorative painters. In 2017 Piet was a contributing author to the catalogue of the exhibition Vermeer and the Masters of Genre Painting, held in Paris, Dublin and Washington. Ingrid Moortgat is one of the two archival research fellows on the Jordaens Van Dyck Panel Paintings Project and researches mostly in the archives of the ‘Southern Netherlands’. As an independent art researcher with a socio-economic view on art production and trade, she has a passion for 17th century archives. After an extensive career in banking Ingrid graduated at the Leuven University’s Art History Department. In her master’s thesis she assimilated her financial knowledge with newly gained insights in art production and trade by developing a different method of research based on the analyses of financial documents registered in the inventory of a 17th century art dealer. As a certified restorer she is performing miracles in painting and paper restoration and conservation. James Innes-Mulraine is the UK archival researcher for the Jordaens Van Dyck Panel Paintings Project. A freelance art consultant, his article Thomas Baker: a landscapist revealed through his diaries was published on ArtUK, the online database of British paintings in public collections in February 2018. His recent discoveries include the earliest-known sitter portrait by Thomas Gainsborough, a new self-portrait by Michael Dahl and a Magdalene by Thomas Hudson, the artist’s first recorded painting. He has also attributed a lifesketch of Queen Ulrike Eleanora of Sweden by Abraham Wuchters (acquired by the National Museum of Denmark), and his identification of Kees Van Dongen’s Venise No.II (Private Collection) as a portrait of the actress Blanche Dergan will be included in the catalogue raisonné being prepared by Wildenstein. James is a graduate of Oxford University in ancient and modern history and studied Italian Baroque at the Courtauld Institute (MA dissertation on the English career of Benedetto Gennari the younger). 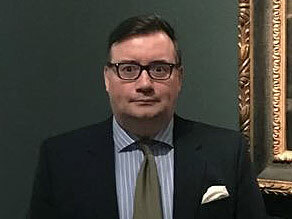 He worked at Bonhams Auctioneers and National Gallery Publications Ltd, before joining Philip Mould at Historical Portraits Ltd for six years, where he became Associate Director of Research. Drs. 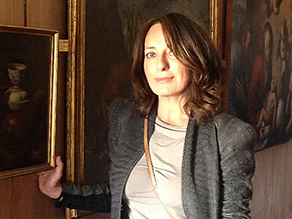 Raffaella Besta is curator at the Musei di Strada Nuova of Genoa and conducts Italian archival research for JVDPPP. An art history graduate of the University of Genoa, where she held classes on Cultural Heritage Management, Rafaella participated in the organization of several art exhibitions that took place in Genoa, among which were Van Dyck a Genova, grande pittura e collezionismo (1997), El Siglo de los Genoveses e una lunga storia di arte e splendori nel Palazzo dei Dogi (1999), L'Eta' di Rubens. Dimore committenti e collezionisti genovesi (2004). She has also been in charge of the of publications about Genoese artistic heritage, among which are the volumes Pittura fiamminga in Liguria (secoli XIV-XVII) (1997), La Cattedrale a Genova nel Medioevo. Secoli VI e XIV (1998) e Genova e Il collezionismo nel Novecento. Studi nel centenario di Angelo Costa (1901-1976) (2001). She delivered the publication of Musei di Strada Nuova a Genova (2010), the first official guide of this museum and has contributed to various catalogues. Dr. Alexis Merle du Bourg conducts archival research in France for the Jordaens Van Dyck Panel Paintings Project. Alexis is a freelance art historian. He has authored dozens of publications and curated and co-curated several exhibitions on 17th Century painting, mainly about Rubens (Rubens et la France 1600-1640, 2002; Rubens au Grand Siècle 1640-1715, 2002), Van Dyck (Van Dyck. Portraits, Paris, Musée Jacquemart-André, 2008-2009; Van Dyck dans les collections du musée Condé, Château de Chantilly, Musée Condé, 2009-2010) and Jordaens (J. Jordaens et son modèle Abraham Grapheus/ Abraham Grapheus, model van Jacob Jordaens, MBA of Caen/Museum voor Schone Kunsten, Gent, 2012 ; Jordaens 1593-1678, Paris, Musée du Petit Palais, 2013-2014; Jacques Jordaens La Crucifixion, MBA of Rennes, 2013). In December 2017, his contribution to the Corpus Rubenianum Ludwig Burchard – vol. XIV-2 : The Henri IV Series - was published. 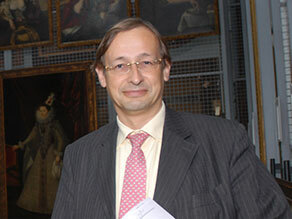 He is currently co-curator of the first exhibition dedicated to Van Dyck and Jordaens's contemporary, Gaspar de Crayer. It will show at the Museum of Flanders (Cassel, France) from June 2018. Ewelina graduated in Protection of Cultural Heritage with a specialisation in Museum Studies at Nicolaus Copernicus University in Toruń, Poland. Since 2015 she has been a Ph.D. student at her alma mater. The title of her dissertation is The Netherlandish Marine Paintings 16th-18th Century in Polish Collections. 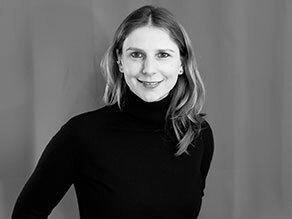 Ewelina specialises in the collecting of Flemish and Dutch paintings in Poland up to 1918 and her research interests include involvement in the project funded by the Polish Minister of Science and Higher Education – The Museum in Memory of Polish Culture (Until 1918): Early Museum Institutions Towards Digital Museology. 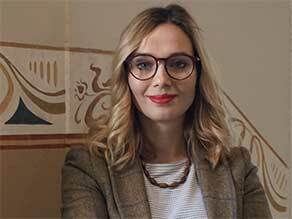 In 2017 she started working at the Sopocki Dom Aukcyjny (Auction House) in Bydgoszcz, looking for Polish works of art on foreign art markets. Ingrid Goddeeris is Head Librarian at the Royal Museums of Fine Arts of Belgium. 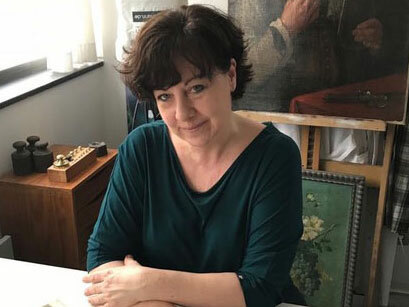 She joined the team of the Jordaens Van Dyck Panel Paintings Project owing to her interest in the reverse of paintings and, in particular, Collectors’ Marks and seals. She will support the Project with her expertise in this field. Her PhD research at Leuven University and her publications focus on the 19th century Belgian and international art trade. 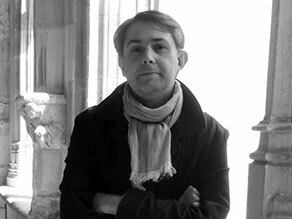 Goddeeris co-edited the proceedings of the International Symposium: “Dealer, collector, critic, publisher... : The animateur d'art and his multiples roles” (2015). In her article on the art collector John Waterloo Wilson, she emphasizes the importance of the study of Collectors’ Marks for provenance research (Cahiers Bruxellois, 2016/1 XLVIII). A graduate of the Leuven University in art history and additional studies in history and of the Free University of Brussels (et al) in Archival Science and Records Management, she first worked for five years in the institutional Archive of the Brussels Museum of Fine Arts before being placed in charge of the museum library where she continues her research on the networks of art dealers such as Léon Gauchez, Ernest Gambart and Prosper Léopold Everard. 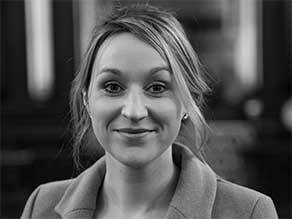 Kate Ainley-Marr is Head of Fundraising at the Royal Hospital Chelsea, London, home to the iconic Army veteran community fondly known as the Chelsea Pensioners. Kate advises the JVDPPP on outreach and public engagement to ensure the Project’s findings are disseminated to the widest range of audiences. With a Masters in the History of Art from the University of Bristol, Kate specialised in the English Avant-Garde movement, including the Pre-Raphaelite Brotherhood, together with Gothic architecture and the canon of servants’ portraiture, from the 17th century up until the advent of photography. Kate has previously worked for the Pictures Department of the Royal Collection, in Portrait Miniatures at Bonhams Auctioneers and at the historic residence of the Bishops of London, Fulham Palace, where she headed a multi-million pound fundraising campaign to restore the Tudor built heritage. Dennis Driessen is the website and social media manager of the Jordaens Van Dyck Panel Paintings Project since December 2017. He oversaw the development of the project’s current website, which launched in March 2018, and is responsible for continuously updating the website with the project’s latest research results. 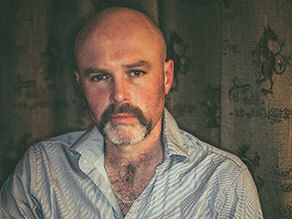 Dennis received a Masters’ degree in Art History from Groningen University in 2014. Following a curatorial internship at Museum Boijmans Van Beuningen in Rotterdam, he became the webmaster of CODART, the international network for curators of Dutch and Flemish art. From 2015 through 2016 he led the project for the complete overhaul of the CODART website. Since then, he continues to further specialize in digital art historical projects.